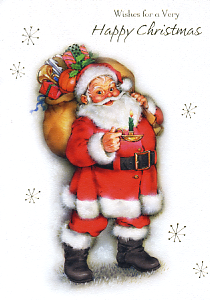 Father Christmas is laden with gifts for all those not on the naughty list! 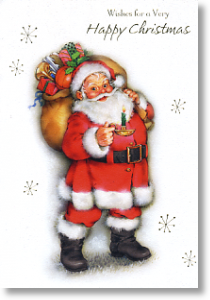 This cute Christmas card has extra sparkle with gold foil writing and detail. Message Inside: This special greeting is coming at Christmas time to say...May this bright and merry season bring happiness your way!